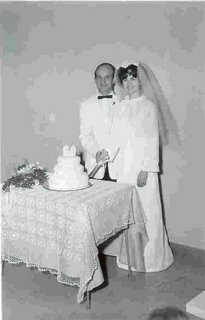 My mom and dad's 40th anniversary is today. Sadly, my mom passed away one month before their 30th anniversary. I am blessed to have parents that I know would have been together for their 40th, and their 50th if my mom were here. I just came across the story of a woman who passed away. At her funeral the speaker named the year she was born and the year she died. But he said all that mattered was the dash between the years. Because that dash represented how she spent her life. My mom's dash was filled with innocence, tenderness, and her family, and God. My mom's dash had six children and a husband who miss her. I pray that I remember to fill my dash with those things that my mom held dear to her. My husband, my children, and my Heavenly Father.